Meet Kalissa Scopes, an incredible student of mine with an inspiring entrepreneurial story to share. In this episode we discuss how her hard work she dedicated in Crickets to Customers has paid off. She went from unsure if she even had a business idea to filling ten spots in her first small group program in under two months! Kalissa specializes in race equity and her new business can be found at www.unlearningeverydayracism.com She is committed to supporting fellow white people in their anti-racism work. 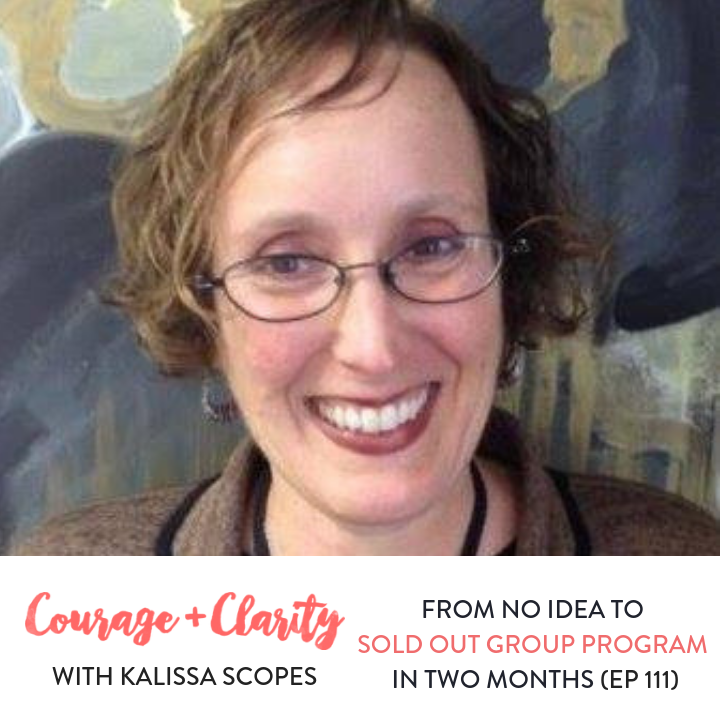 Kalissa's story will really hit home for anyone hoping to build an online business but worried that their topic doesn't fit the mold. It’s also more proof that you don’t need an audience of thousands (or even hundreds!) to make real money in your business.